Tourists continue to flock to Cheshire East and visitor rates are soon set to top £1bn a year, according to the latest economy figures. Cheshire East’s visitor economy has increased by 3.2 per cent on the previous year’s figures – placing the total value of hospitality and visitor revenue at £921m. It means it is on target to reach £1 billion by 2020. Almost 16 million visitors passed through the borough in 2016/17, with festivals and dozens of other events and attractions continuing to boost the area’s popularity. Notable was the strong increase in staying visitors, the value of which increased by 6.3 per cent to £241m. Employment in the borough’s visitor economy also continues to rise, with a further increase – in full time equivalents – to 11,557. The figures are calculated through Steam, (the Scarborough Tourism Economic Analysis Monitor) – an accredited method of calculation used by many visitor destinations. Cheshire East leader Rachel Bailey, said: “This is excellent news again for Cheshire East, the council and our outstanding hospitality and tourism industry. We are fortunate to be ideally positioned for a great day visit as well as for visitors from all over the country, and abroad, staying with us. “We are delighted that more people are discovering what the borough has to offer. Some visitors come for the shows – Nantwich, Royal Cheshire, the RHS Flower Show – or concerts, including Rewind and Blue Dot festivals. In addition, horticultural shows, heritage and antiques markets, classic car shows and farmers’ markets have all proved popular. Detailed analysis of the latest figures shows a 69.3 per cent increase in the value of the visitor economy to Cheshire East since the borough came into being in 2009. Overnight stays in 2017 injected £200m into the hotel industry – an increase of 6.6 per cent on the previous year. 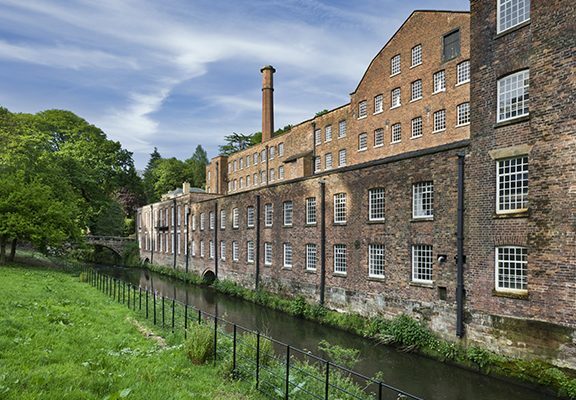 Continuing investment in the borough’s heritage attractions at Tatton Park, Quarry Bank Mill and Jodrell Bank, could lead to a further boost in numbers as the projects develop, while Cheshire East Council will stage ‘Pride in the Park’ in September 2018, which will boost visitor numbers still further. Cheshire East can, again, boast Green Flag status for eight of its glorious parks thanks to significant investment in our parks in recent years. The following parks received Green Flags: Bollington Recreation Ground; Brereton Heath Local Nature Reserve; Congleton Park, Queens Park; Sandbach Park; Tatton Park; Tegg’s Nose Country Park; and The Moor, in Knutsford.